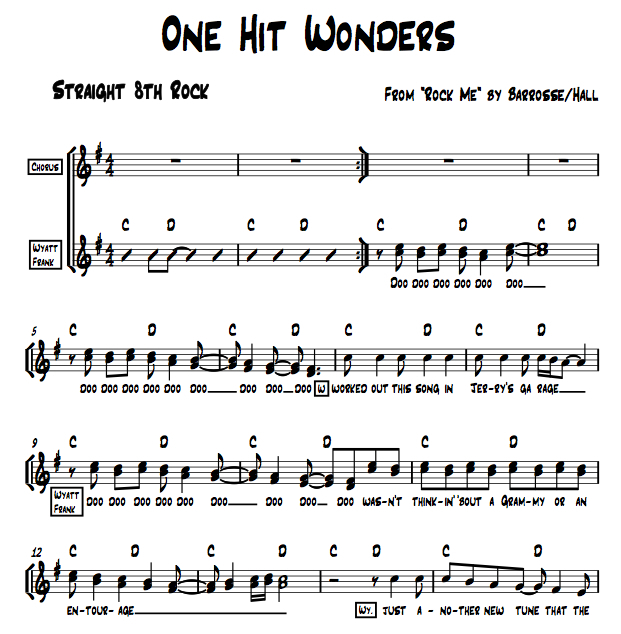 “Rock Me!” @ Northwestern… | Paul's Voyage of Discovery & Etc. 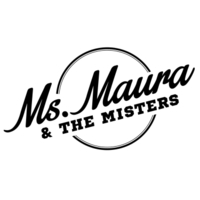 ← More Ms. Maura Music! For years my three daughters listened to the songs that Brad Hall and I wrote and recorded for our rock & roll musical “Rock Me!” in 1988. “Rock Me” was originally written for the Columbia College New Musicals Project under the direction of Sheldon Patinkin and it was performed for one night at Chicago’s Apollo Theatre in August of ‘88. Emilia, Eva and Maura pestered me relentlessly to get together with Brad to finish it. A couple years ago, Brad and I wrote a few new tunes for the show and made notes for a re-write of the book. 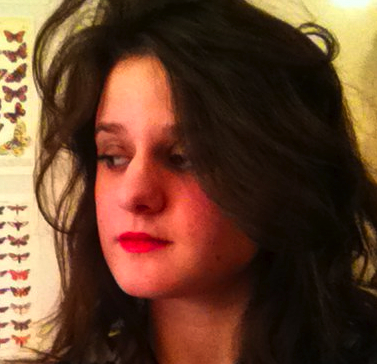 But Emilia finally got the “Rock Me!” completion project underway last fall by submitting the show to a student production group at Northwestern. 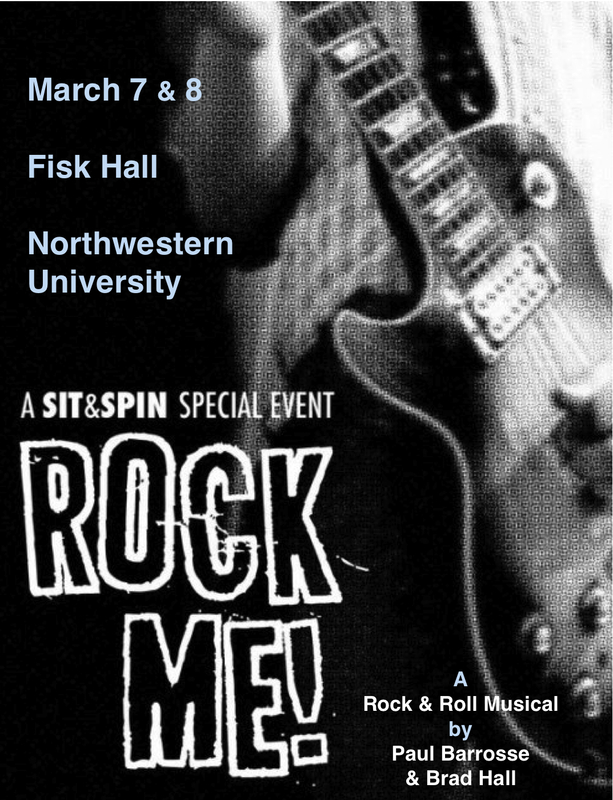 Now, I’m pleased to say that “Rock Me!” will be performed in a concert reading at Northwestern University’s Fisk Hall on Monday and Tuesday, March 7 and 8, 2011. It’s going to be a gas seeing enthusiastic college folk having fun with these songs. Just know this, I will demand in a loud whiny and tenacious tone a recording of the event. I think most can recall that tone I am referring to from the olden days. So. . . there had better be a recording done, and I better get one. The curtain time is still unsettled, Katie. But I’ll update the info on this blog and on Facebook as soon as I get it. I look forward to seeing you and Sam. Of course, we’d love to see your girls. They were some of the brightest stars on the dance floor when The Rockmes played SPACE last year. March 7 is Ellen’s birthday! So now I’ve got the “Show” part covered. That or we go on the 8th and hum along with Sam and Kate. Rush, no sweat: I will have the cassette player with the dying batteries in my satchel bag under my seat with my “roadies”. You want loud tenacious whiny tone to your recording? I gyaronTEE it! I look forward to seeing you folks, Marty! Happy birthday, Ellen! And I’m trying to figure out a way to record the show so you won’t have to rely on dying batteries. Of course, just for Rush, I will add the whiny tone in post. All – Break legs and have a rockin’ good time doing the show. We’re having what amounts to a PTC/Rockme-NYC gathering on the 8th for my birthday. 10 of us will be at a Greenwich Village restaurant and we’ll be toasting you all.